www.alanfitness.com "Add hours to your day, days to your year and years to your life." It wasn’t long ago that the standard advice for good health was: eat right, exercise and don’t smoke. However today, health care professionals are adding another very important element to that list—get enough sleep. It is interesting to note that before the electric light bulb was invented, people averaged about 10 hours of sleep per night! But in today’s world of one big global economy, more and more people are working at jobs that require second and third shifts. They are working out of their time zone. Many are at their computers until late at night. In addition, stress, worries and problems can all keep us from sleeping enough hours and from sleeping soundly. How many of us are actually getting the requisite 7-9 hours of sleep each night? Nevertheless, it is very important that we sleep enough. Recent research has shown that there are even more negative effects of sleep deprivation than we previously thought. work, less patient with others and less interactive in their relationships. And according to the National Highway Traffic Safety Administration, more than 100,000 crashes each year are due to drivers falling asleep at the wheel. Needless to say, for those of us who exercise regularly, we all know how unproductive a session can be when we have failed to get a good night’s sleep. We now also know that sleep deprivation can contribute to both higher cholesterol and type 2 diabetes. It turns out, as shown by research at the University of Helsinki in Finland, that inadequate sleep may affect the way the body metabolizes cholesterol. According to the data in the study, the genes that regulate cholesterol were less active in sleep deprived individuals compared to those who got enough sleep. 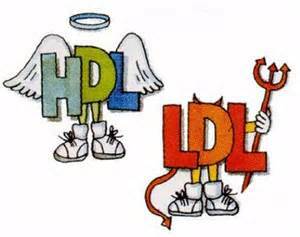 Also, sleep deprived individuals had lower HDL (good cholesterol) which is the one cholesterol number we like to see high. What was amazing about this was that it only took 5 nights of sleep deprivation (4 hours of sleep each night) to yield this result. In other words, sleeping enough –ALL THE TIME– is important. The number of diabetics in the world is increasing all the time. In 1980 there were 180 million diabetics in the world and as of 2014 there were 422 million and projections say that by 2025 more than 700 million people on our planet will be diabetic. We all know by now that eating correctly—meaning the right foods in the right amounts and the right times is integral to controlling diabetes, as is proper exercise. But it seems that sleep deprivation and stress both play a role in type 2 diabetes. And just as with cholesterol, it doesn’t take much sleep deprivation to already see problems. 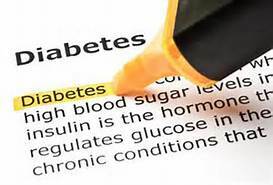 Diabetes arises when the body can’t properly break down blood sugar or glucose, leaving your cells starved for energy. One thing that greatly increases your chances of a blood-sugar malfunction is being overweight. Excess fat makes it harder for cells to properly use insulin, a hormone that helps keep glucose levels normal. So what does sleep have to do with any of this? According to James Herdegen, MD, medical director of the Sleep Science Center at the University of Illinois, “When you don’t get enough sleep, your body appears to require more insulin to maintain normal glucose levels. Sleep deprivation seems to alter the sympathetic nervous system — the body’s stress-control center — and hormonal balances, all of which affects glucose regulation.” Eventually, sleeplessness causes insulin-producing cells to stop working properly, elevating glucose levels and leaves you wide open to diabetes. “Adding to the problem is the fact that fatigue also jolts the sympathetic nervous system into high gear, throwing off its ability to regulate blood sugar,” Dr. Eve Van Cauter says. Indeed, numerous experts point out that it takes just two nights of sleeping four hours or less to temporarily disrupt the process. Two current clients of mine have both been experiencing fatigue and tiredness, often affecting their day to day ability to function. One of these clients (actually a Skype client from overseas) has several medical issues—including diabetes and high cholesterol—in addition to being very overweight. With both of these clients I stressed this recent research and the importance of a full night’s sleep. Here is the advice I gave to both of them, based on the advice of Dr. John Shepard Jr. (who runs the Mayo Sleep Clinic), on how to get a better night’s sleep. Stick to a schedule. That means not sleeping much more on weekends or holidays. Make an effort to go to sleep and wake up about the same time every day. Don’t eat or drink a lot before bedtime. Try to stop eating about 2 hours before bedtime. And remember that drinking too much before bed will cause you to wake up several times to urinate in the middle of the night. Avoid Caffeine and Nicotine. Addictive stimulants will keep you awake. Don’t have caffeine at least 7-8 hours before bedtime. Exercise! 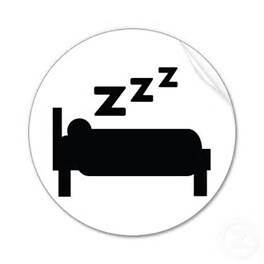 Exercise and regular physical activity enhance the quality of sleep. Keep the room cool. A room that is overheated isn’t good for sleeping. Keeping the room cool mimics your internal body temperature at night. Sleep at night. Avoid daytime naps and if you do need to nap, do so before 3 o’clock in the afternoon and never sleep for more than one hour. Keep it quiet. Silence is more conducive to sleep. Don’t keep the TV or radio on as you fall asleep. Use earplugs or a running fan if need be to eliminate background street noise. Your bed is for sleep. Make sure you bed is comfortable and only us it for sleeping. Go there when you are tired and turn out the lights. If you can’t fall asleep within 30 minutes, go somewhere else and do something else, like reading until you get tired. ← I’ll Drink to That! How Late Can I Eat?